Update: French authorities have confirmed the death of Mohammed Merah after a 30-hour standoff at his home. A former spokesman for Forsane Alizza denied that Merah was ever a member. During a standoff today between Merah and French authorities, Merah reportedly said he is a member of Al Qaeda and that he carried out the attacks as revenge for Palestinian children and as a reaction to French military intervention overseas. Merah, a French citizen of Algerian decent, has also been linked to two earlier attacks on French military. The group, which advocates for BDS on its website, organized several protests against Israel in France. In September 2011, its members disrupted the El Al counter at Roissy airport in Paris, shouting “Death to Israel!” and “Death to Jews!” In June 2010, they protested at a McDonald’s, telling customers that McDonald’s supports Israel. Two members of the group were convicted by a French court on charges of “inciting racial hatred” and shouting anti-Semitic remarks at the restaurant. That same month, the group participated in a pro-flotilla rally in Paris. 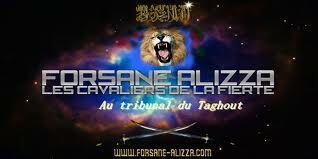 Forsane Alizza seems to be currently operating with “Force de Défense Musulmane sur Internet.” Its stated goal is to remove online materials that they consider to be offensive to Muslims and Islam and to provide resources to those who are engaged in the same activity. Its activity is similar to that of Revolution Muslim, a fringe anti-Semitic Muslim organization that was based in New York and that attracted a radical following online. French authorities indicated that Merah has been under surveillance for at least several years due to his radical beliefs. There have also been reports that he traveled to Afghanistan and Pakistan for militant training, but French authorities say that they have no evidence that he had been in contact with terrorist groups. Please really take a listen to www.justin.tv/lbn2live and become a part of our movement, and we will become a part of yours! The two websites are: www.libertybroadcastingnetwork.com and www.justin.tv/lbn2live. No travel necessary. You just call in on a phone!